4 Wheel Drive off road places 500-750 km from Perth. 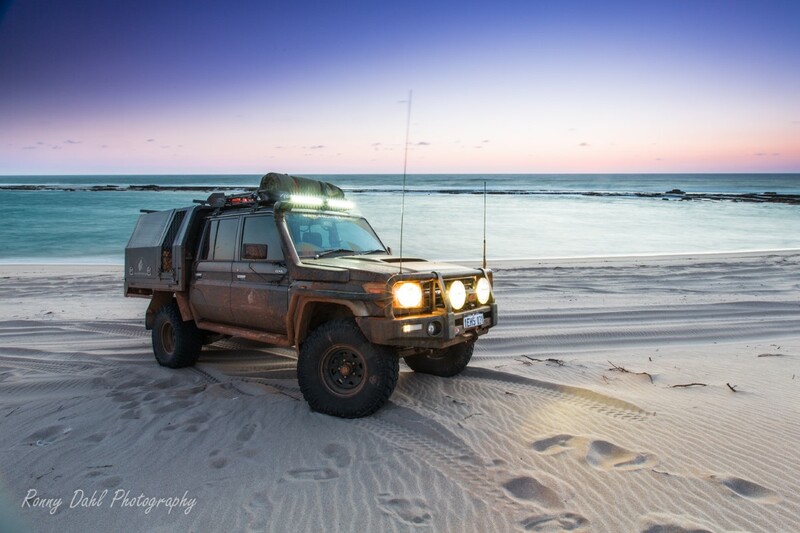 Feel like combining 4 wheel drive off road with a 4x4 camping holiday then you can find some awesome beaches within a distance of 500 – 750 km from Perth. 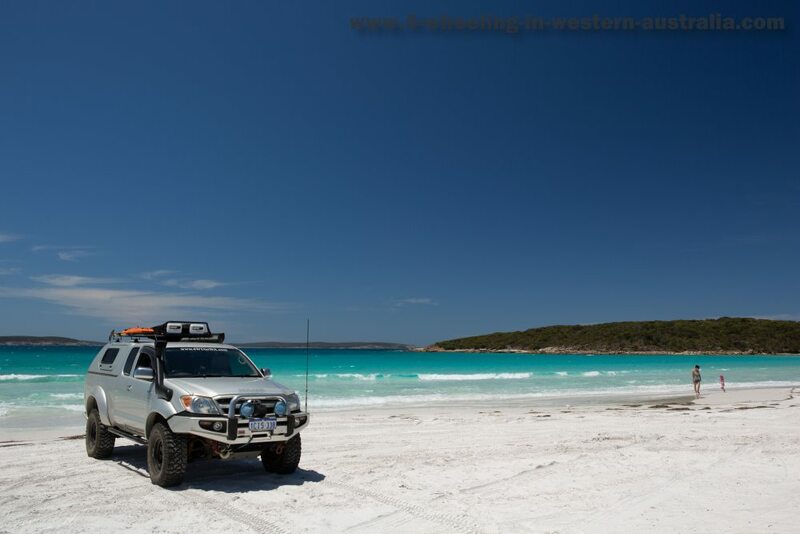 You will find some of the best Australian beaches on the south west coast in Western Australia and some excellent 4x4 tracks so why not combine your holiday with some off road driving and take a look at some awesome beaches on the WA south coast and escape the Perth heat during the summer. Or going north during the winter to escape the cold and wet weather in our capital city. The area between Albany and Augusta offers some of the best Australian beaches, some of the awesome beaches here can only be accessed by 4x4 tracks so quite often you have a whole beach to yourself. 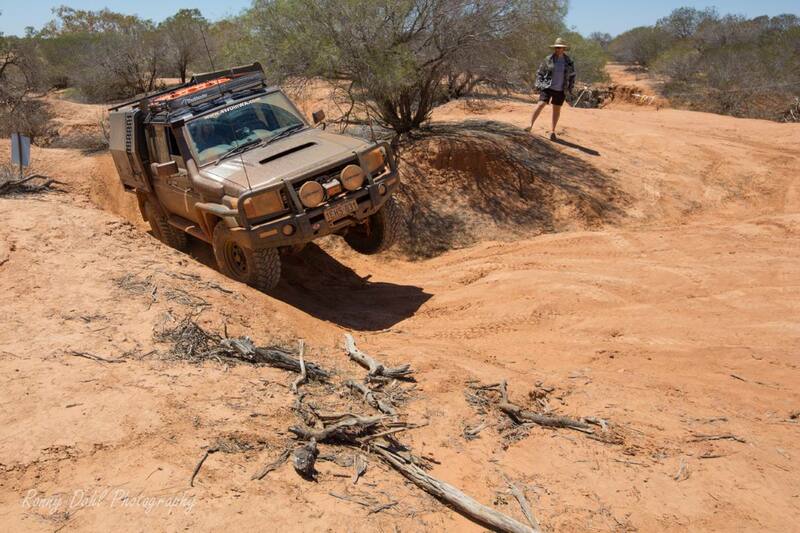 So plan your weekend or holiday and make it a 4 Wheel Drive Off Road holiday in WA. There is plenty of accommodation along the south west coast as well, whatever you are looking for: 4x4 camping, caravan parks, chalets, motels or hotels. Apart from the Christmas holidays there is no need to book in advance for most places. However if you want to stay at a particular place the best option is always to book ahead. For more information about 4x4 tracks, awesome beaches, accommodation and tourist attractions just follow the link on this page and 4-Wheeling-In-Western-Australia is happy to help you plan your next family holiday or boy’s trip away if that’s what you are after. If you are looking at places in the south west area please also take a look at the page 250-500 km from Perth where you will find more information. For information about what to do and see in Bremer Bay before you head off on your adventure take a look at Bremer Bay. 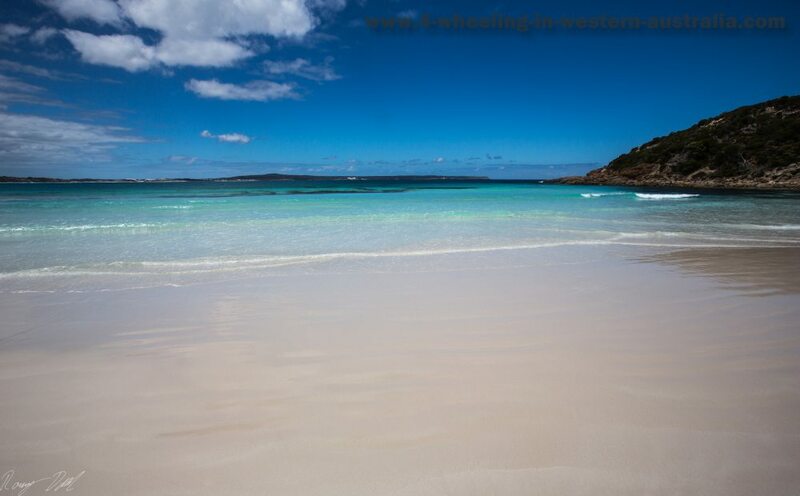 Awesome Beaches in Bremer Bay area. For Information about beaches in the Bremer Bay area look no further, here you will find some awesome beaches for leisure or 4 wheel driving. For more information see: Awesome Beaches. Lucky Bay near Kalbarri offers you calm waters, great for the kids and you can camp right on the beach. The dunes are huge and the sand very soft, so remember your recovery gear when you 4 wheel drive off road at Lucky Bay. For more information and GPS waypoints see Lucky Bay Kalbarri. Distance from Perth 590 km. Murchison Off-Road Adventure Park is not just about wheel lifts and flexing, it’s also about anything 4 Wheel Drive from stock to heavy modified vehicles, from blokes weekends to family holidays & from a short trip to a longer trip. This area will suit most 4wd enthusiasts. For more information see Murchison Off-Road Adventure Park. 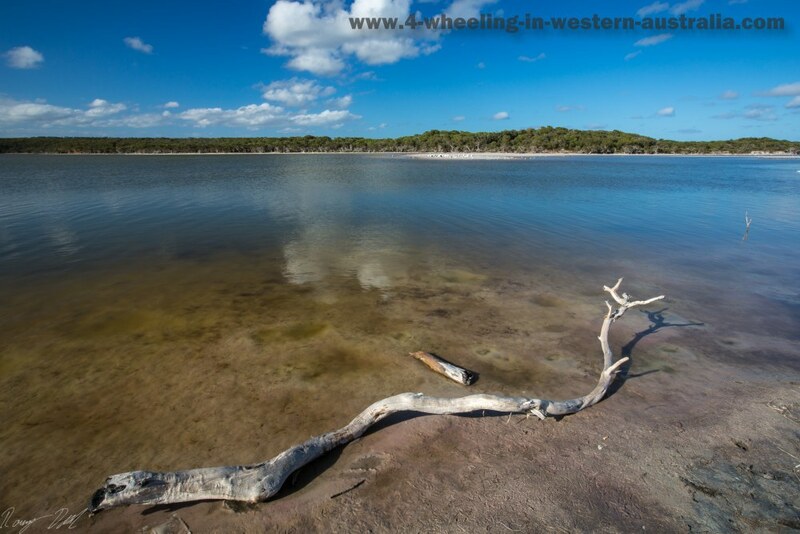 Leave 4 Wheel Drive Off Road And Go 4 Wheeling In Western Australia.